﻿ Furniture Foreclosure or How to sell abandoned personal property remaining after tenancy at auction in accordance with California Civil Code Sections 1980-1991 Chapter 5 Disposition of Personal Property Remaining on Premises at termination of tenancy. January 1 California Law Changed Requiring a Personal Property Appraisal on any foreclosed home or eviction case requiring an auction if valued at $700 or more. The Auctionarium provides CERTIFIED Personal Property Appraisals and Auction Services to Shield Property Owners from Lawsuits. California Civil Code - Section 1980-1991: Chapter 5. Disposition Of Personal Property Remaining On Premises At Termination Of Tenancy. Any type from eviction, foreclosure to the best tenant in the world after proper notice, leaving their stuff behind. Creating a financial nusiance for real estate owners to clean up. Auctions are simple in concept, yet complex in execution of legal requirements, which is why The Auctionarium provides full end-to-end service for our sellers to make your experience hassle free. Inventory with digital photos, worksheets and appraiser notes. Trash out certificate gives peace of mind the law has been compied with. Special handling for gold, silver, jewelry, firearms and illicit substances. Want a free no obligation auction evaluation? Click here and complete the form. The Auctionarium, Inc. is California's only full service Roman rules Auctionarium that sells everything to the highest bidder(s) with no minimum bids and no reserved prices. Do you want to sell your headache? Call The Auctionarium at 818-583-7384 Today or use the inquiry form link at the bottom of the page for a no obligation evaluation. The Auctionarium specializes in providing abandoned personal property appraisal and auction services to instituional and private customers. The Auctionarium is THE first mover and leading provider of abandoned personal property services, providing owners much needed proof of compliance. The Auctionarium takes the hassle out of leftover stuff so our sellers can focus on their core business. The Auctionarium creates the market or sells into our database of professional auction buyers. The Auctionarium's goal is to create a "bullet proof shield" between our seller customers and their former tenants or foreclosed home owners in a manner that minimizes the risk of lawsuits and/or litigation. We can LEGALLY sell the contents of your house, apartment, condo or rental unit all in a single day. If you want more information call 818-583-7384 or complete the seller inquiry form us so an Auctionarium counselor can help you through the process. What type of items does the Auctionarium sell? The Auctionarium, Inc. will sell any item of value to people who are eager to set & pay the present "cash market value" at auction. We are NOT LOOKING FOR single items unless it's an Oscar or a Rolls Royce or a house where the value is worthy of the Magister Auctionarium's Attention. The Auctionarium will sell your "junk" when it's included with an entire estate, as a matter of fact we tell potential sellers not to throw away ANYTHING unless its rotting food until we have come to evaluate your treasures. The Auctionarium recovered over $17,000.00 for an estate from a pile of "...stuff that nobody would be interested in buying..." that they had set-aside for a charity to pick up. It's a good thing we showed up before the 3rd Charity came by the first two said there was too much for them to take and they only wanted certain items. Memorabilia of any type: Sports - Movie - Disney - Military - Historical - Racing or Pop Culture Items if the value is there. Lamps - Vases - Art Glass - Sculptures - Statues Automobiles - Trucks - Recreation Vehicles - Golf Carts Musical instruments from pianos to piccolos' Entire collections of unique items are in demand. Automobiles from High End Exotic Ferrari & Bentley to the old junker in the garage as long as it goes with the estate. Weapons The more exotic the better - Firearms - Hunting Rifles - Sword & Knife Collections - Antique to Ancient to Modern. The Auctionarium, Inc works with realtors on a referral fee basis. E-mail auctions@theauctionarium.com for more information. The Auctionarium, utilizes a combination of live and/or internet bidding to obtain the highest prices for our sellers. There is an "auction entry fee" to cover the production costs of an auction plus a final value fee commission. The type of auction methodology used varies according to the type of auction (legal or voluntary) combined with the projected auction value of a particular group of assets. The Auctionarium charges a staggered commission for personal property of 25% to 50% depending upon the selling price of each auction event produced for our customers. The Auctionarium charges auction entry fees based upon the size and scope of your auction to cover the hard costs of setting up, marketing and producing your auction event. Abandoned Personal Property Auctions are a flat rate $1,495.00 entry fee which includes the cost of inventory / catalog, publication of legal notices and auction day services. Estate Auctions held at the house where nothing has to be relocated or moved typical entry fee is $2,500 to $5,000 unless there are a lot of very high value items that require special handling. 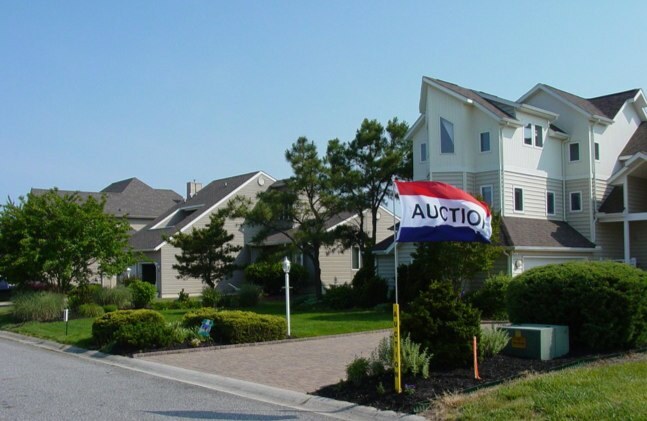 Real estate auctions for a typical home $5,000 auction entry fee and the buyer usually pays the commission, closing costs & escrow fees with the seller keeping 100% of the high bid or hammer price. Remember Uncle Jesse says "...There is nothing more expensive than a cheap auctioneer..." meaning if you are shopping based on the lowest percentage please don't waste our time. If you want to engage the person who signed the largest auction contract in history who has a track record of selling out everything for top dollar then please give us a call. Monitor the internet bidding to qualify buyers & answer questions. Sell each item to the highest bidder at live or internet auction. Pay you for your auction no sooner than 1 nor later than 90-days after the event. The Auctionarium, Inc strives to make your selling experience as hassle free as possible. Selling at auction will deliver hassle free cash for your treasures or headache. If you want more information e-mail auctions@theauctionarium.com or call us at 818-583-7384 so an Auctionarium counselor can help you through the process.